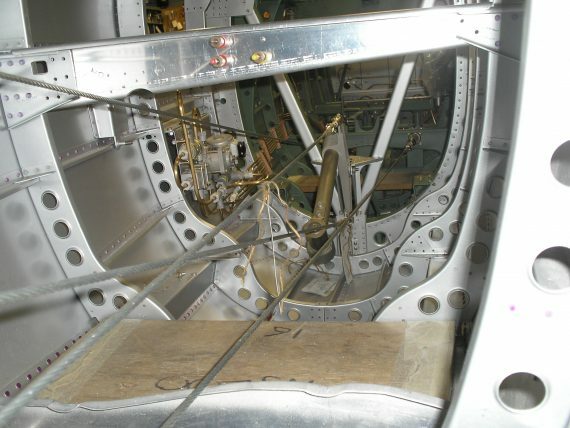 The starboard canopy rail has now arrived and been drilled off. 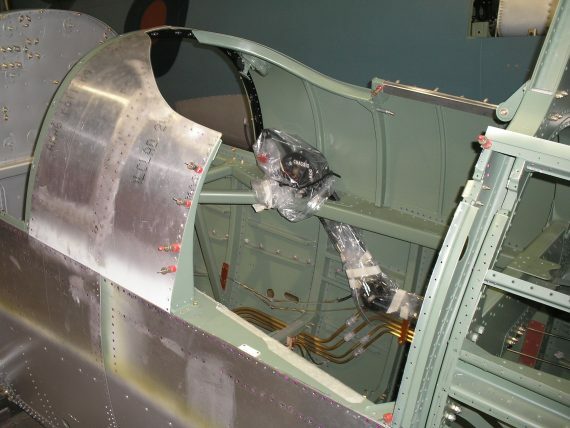 The forward cockpit upper structure has been fitted. 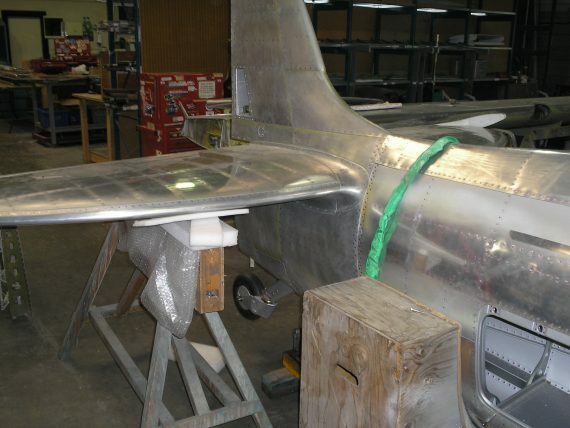 The tail unit has been trial fitted and the skins trimmed in. 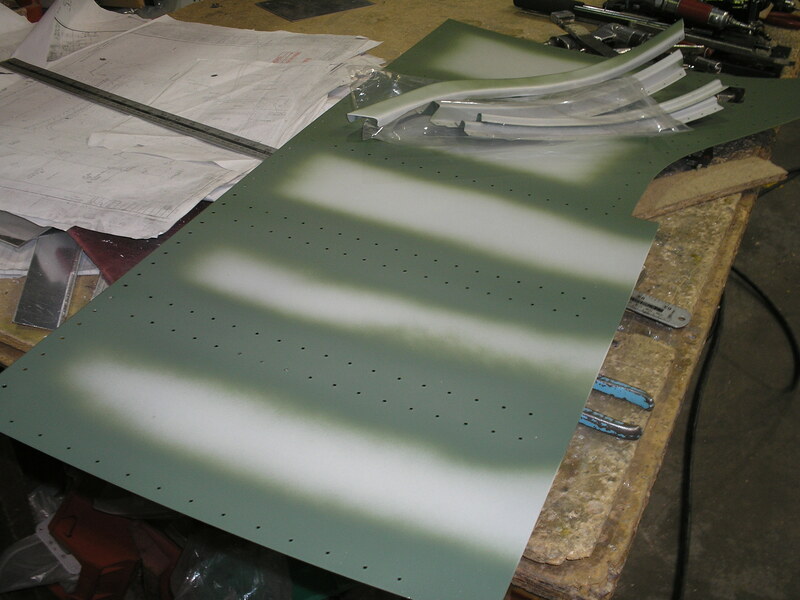 The battery tray and air bottle mounting structure has been finalised and is in for paint. 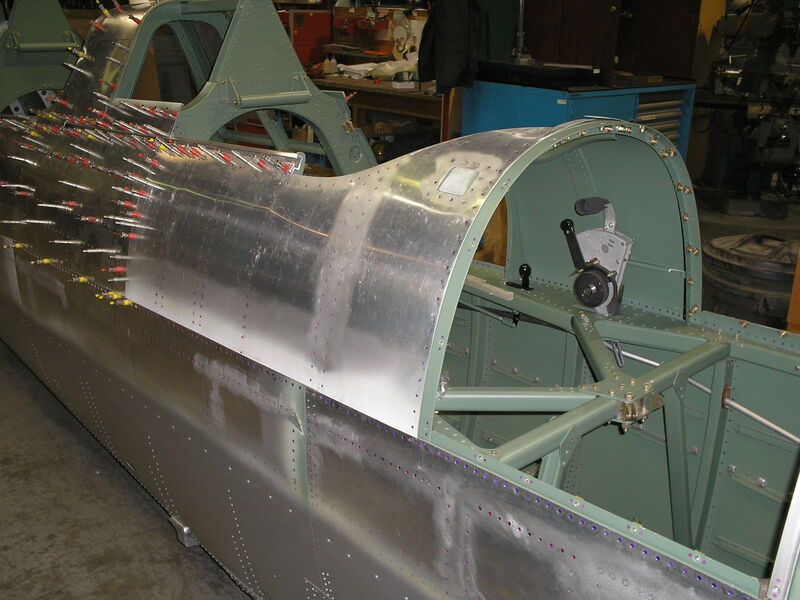 The wing root areas have been painted. 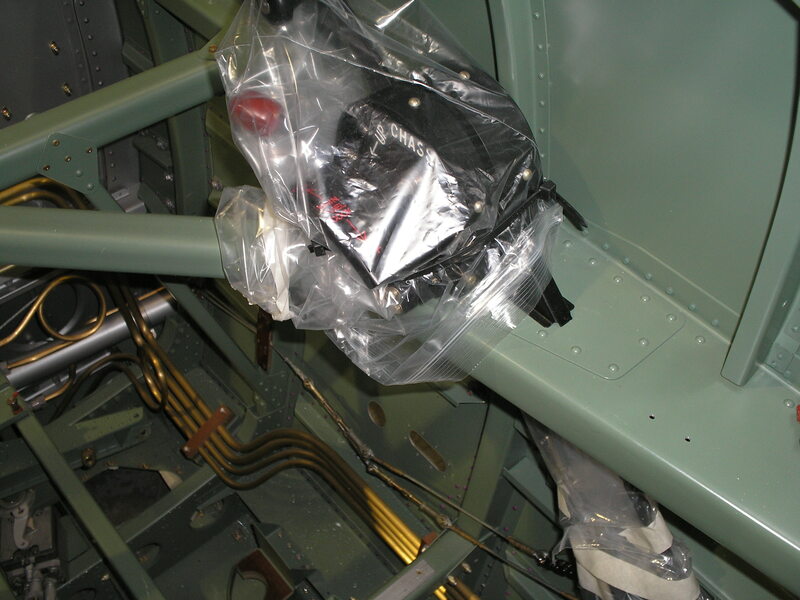 The rear rudder pedals have been fitted. The main control cables have been trial fitted and and rigging checks carried out successfully. 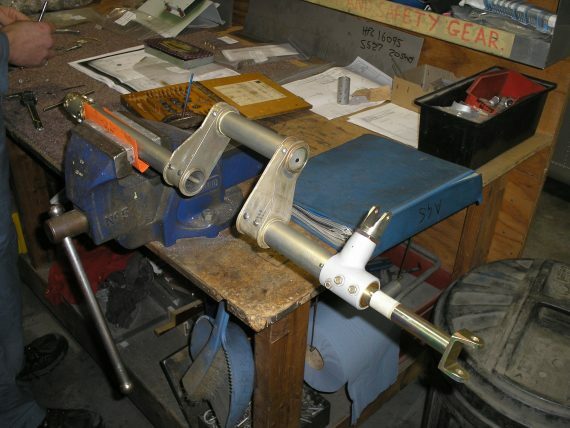 Fairleads, stops and guides have been made. 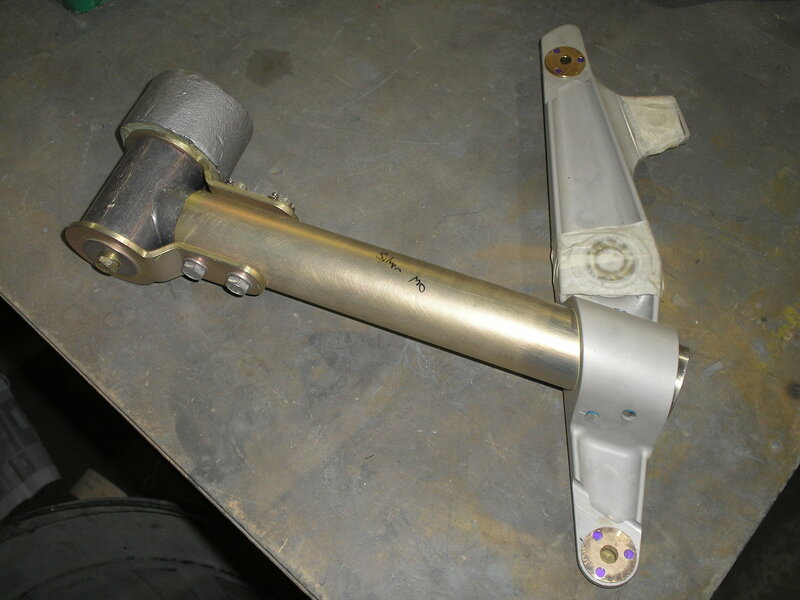 The front and rear throttles have been fitted and the CSU and throttle rods made and trial fitted. 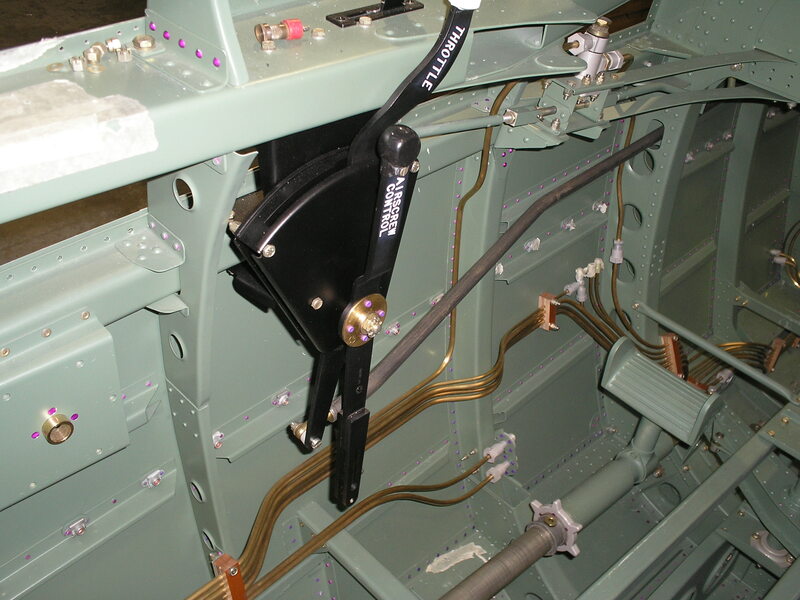 The flap controls have also been installed. 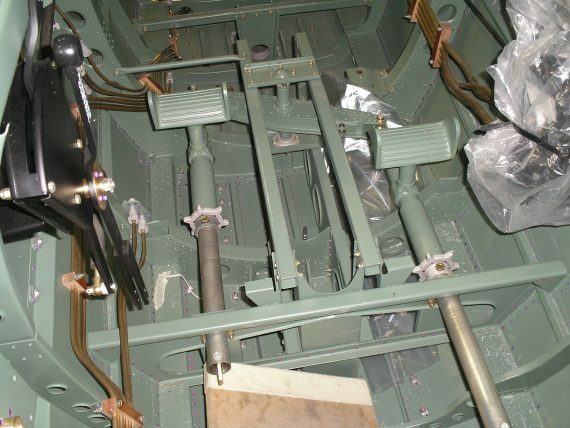 The radiator flap shaft has been assembled. This is different from a single seater and has extra levers to allow the aileron torque tube to pass through. 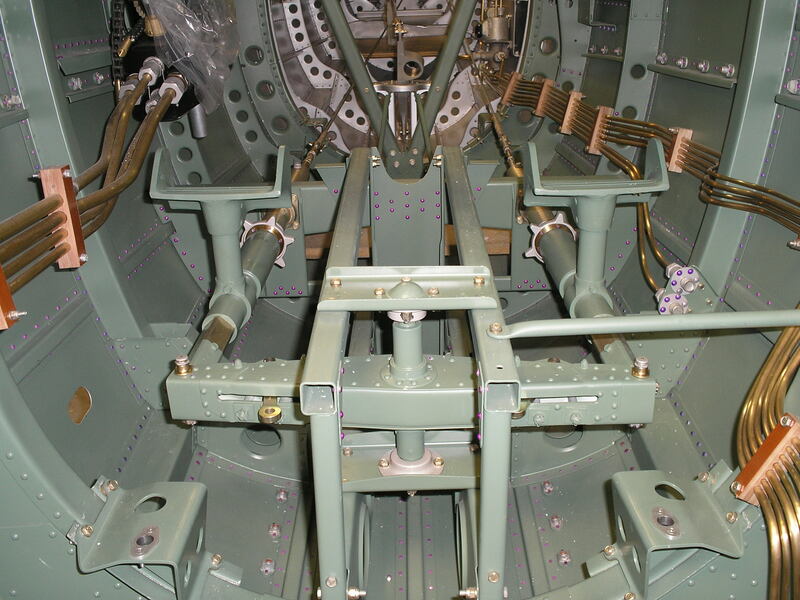 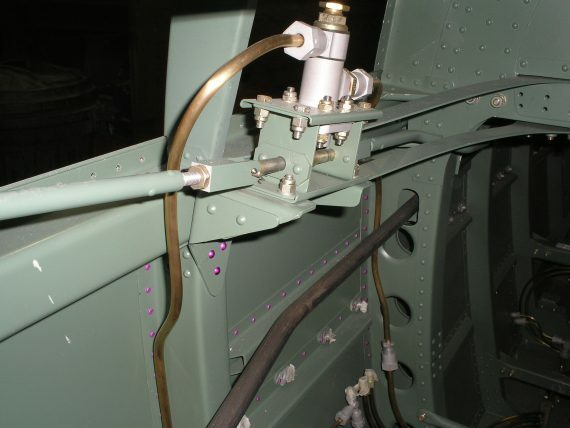 The undercarriage hydraulic system has been filled and pressure tested. 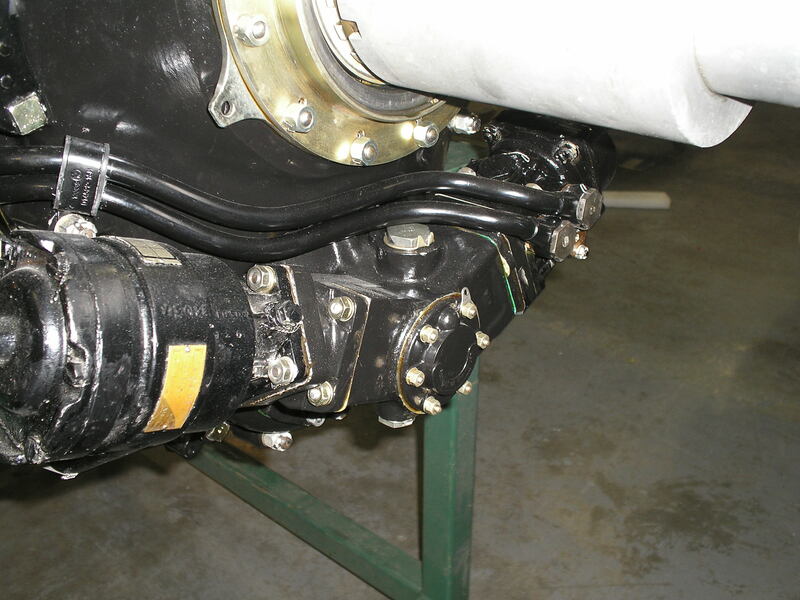 The system has been run using the ground power rig and the rams cycled many times with no problems. 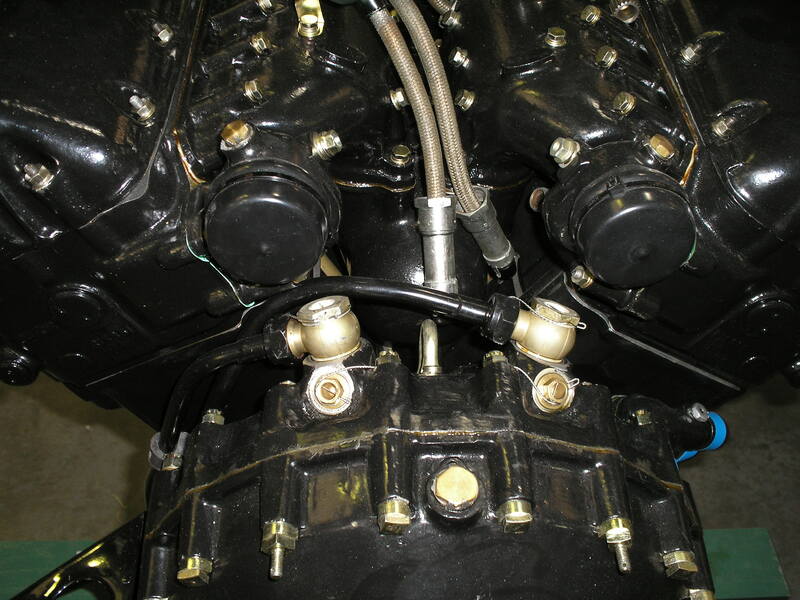 Dressing of the engine continues and an overhauled CSU and new pipes have been fitted. 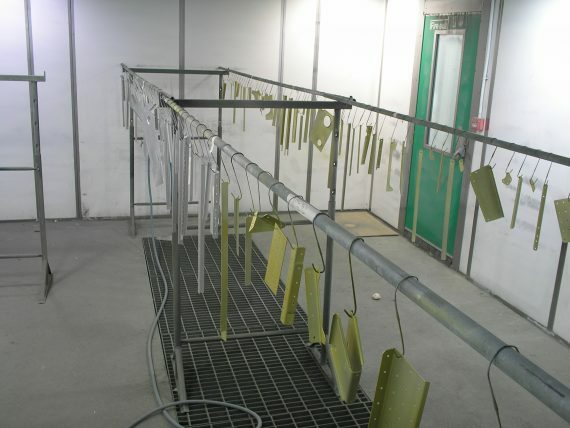 Manufactures of the skins and radiator bay structure will continue. 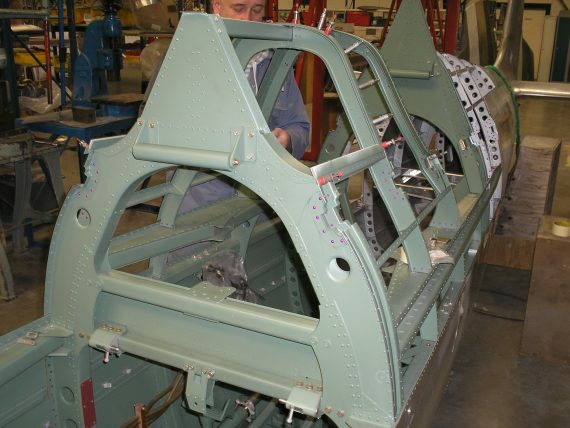 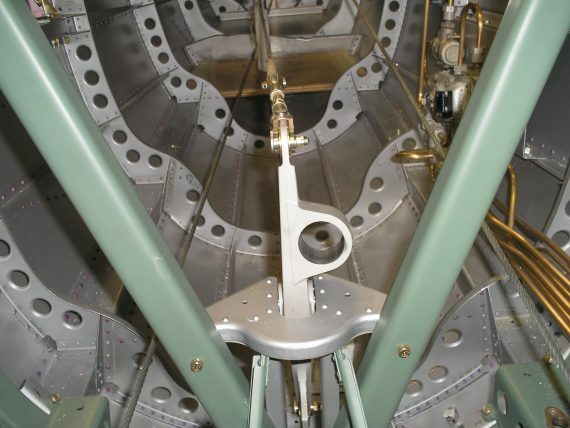 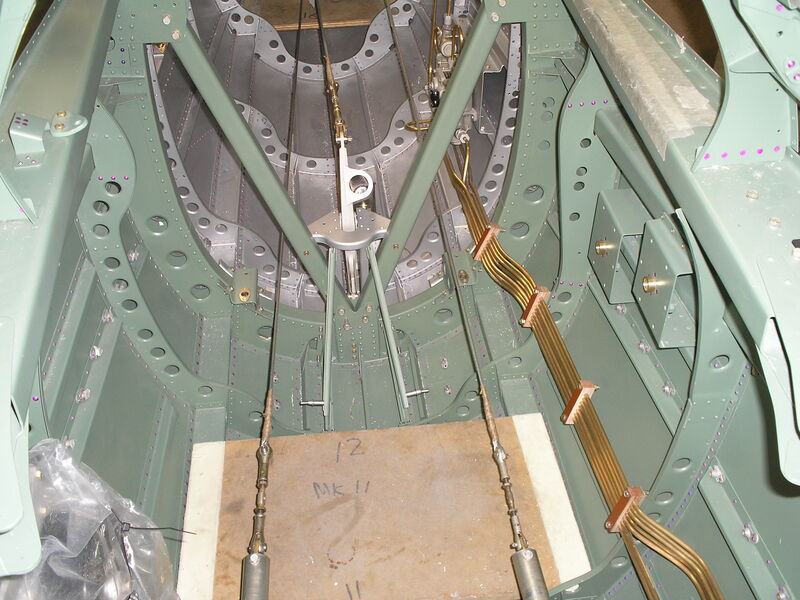 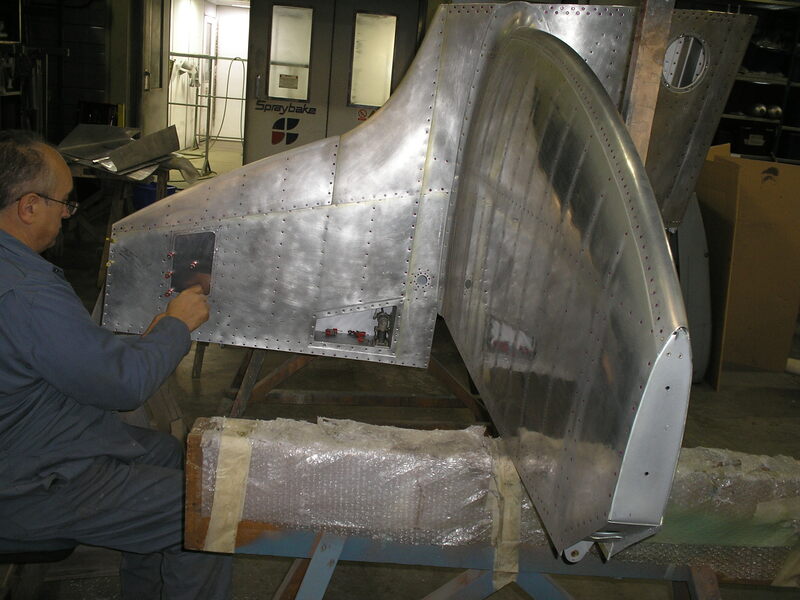 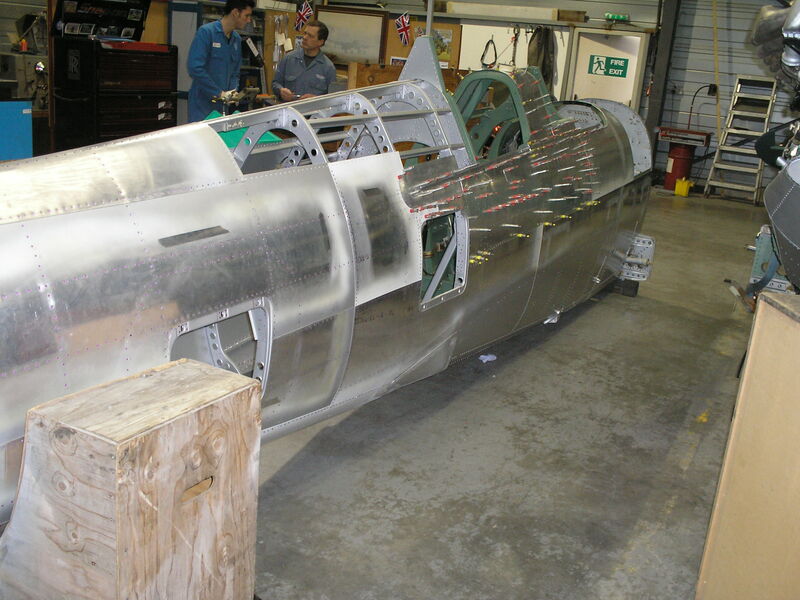 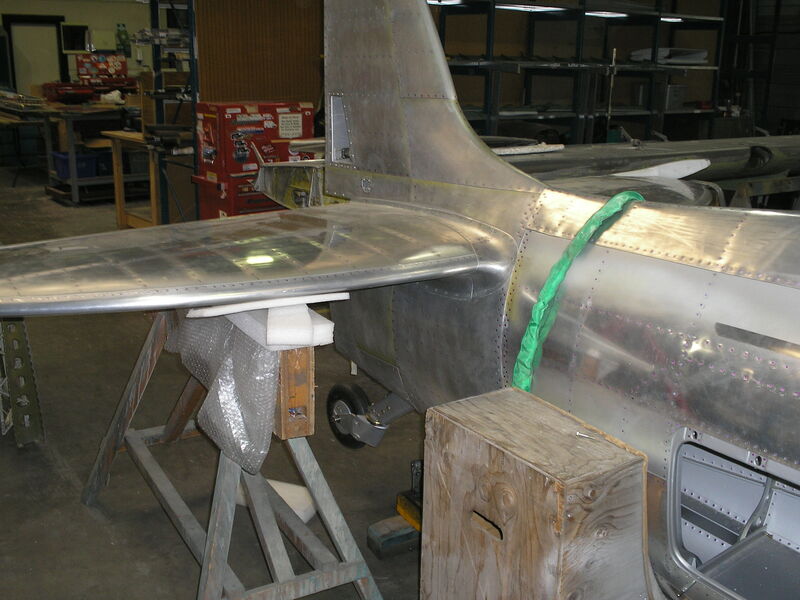 The fuselage upper construction and fitting out will continue.